Pics and Kicks: Hope Contest WINNER: Heather Mildenstein!! Hope Contest WINNER: Heather Mildenstein!! Ok, I know, I know. . . I was supposed to post this on Saturday, but it was Richie's birthday and we were off partying like it was 1999 all day long. SOOOOOO. . . I apologize! I'm proud to announce (surprise, surprise) that entry #4. . . aka HEATHER MILDENSTEIN of Heather Mildenstein Photography and the popular blog The Coterie is the winner of Pics and Kicks first ever photo contest! Congratulations! She'll receive a foam mounted print of the image, a week-long feature in the Pics and Kicks sidebar and a $25 gift certificate to the dining establishment of her choice! Congratulations Heather! Yay! This one really spoke Hope to me! Congratulations, Heather! AHHHH!! I WON?!?! Cool! Thanks everyone! 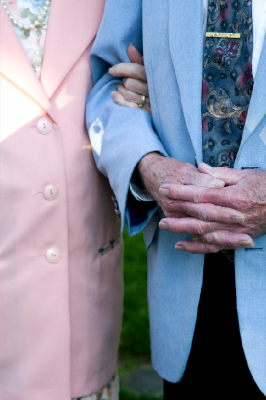 Actually, I really love this photo because when I was shooting this wedding, this elderly couple looked so intriguing to me, and I took tons of photos of them...secretly. Then, the next day (yes, the reception was before the wedding), I found out that this interesting couple was the groom's grandparents, and the grandpa actually married the bride and groom. This photo is perfect and brilliant. Well done.